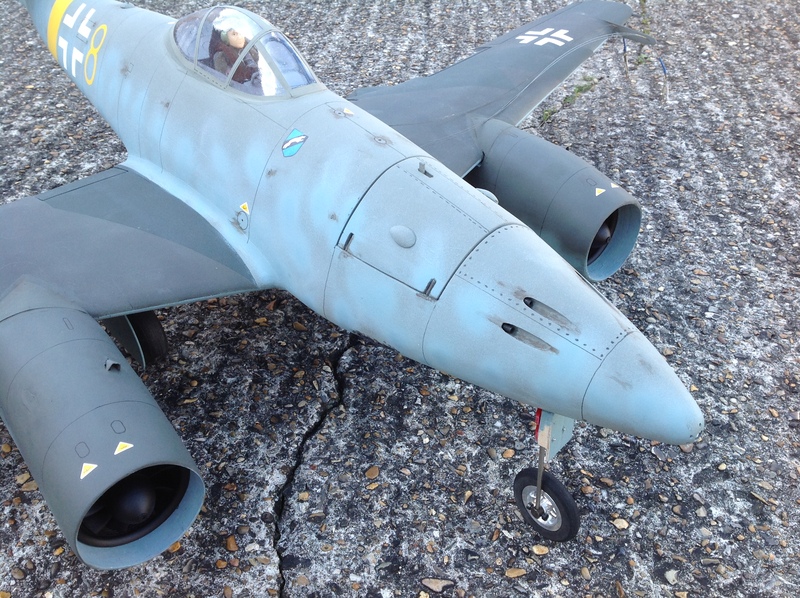 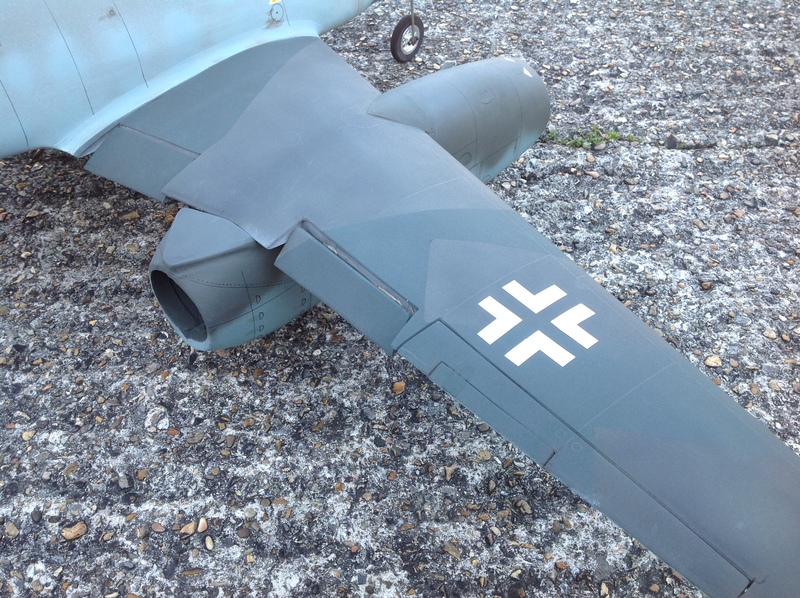 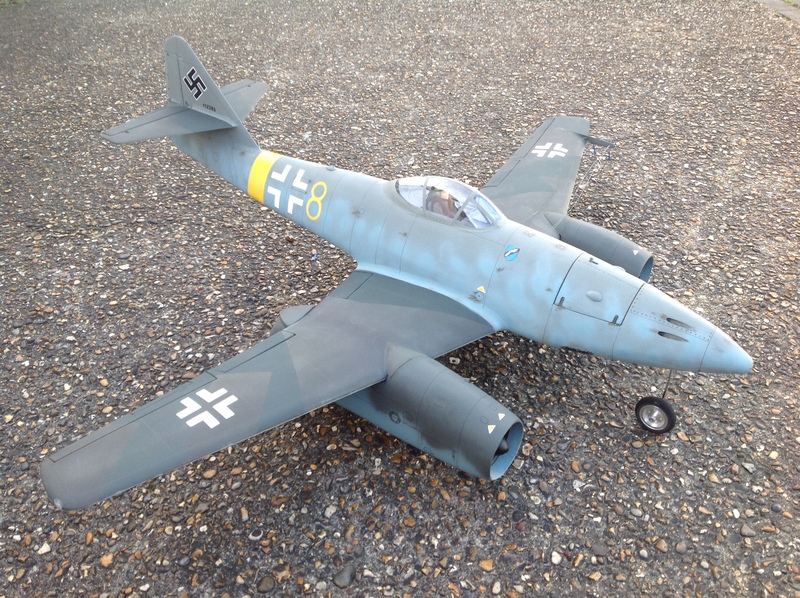 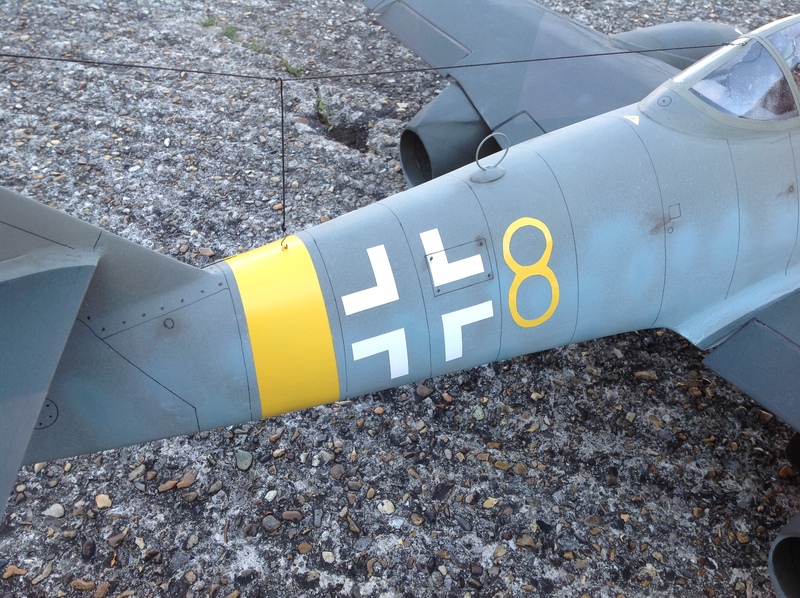 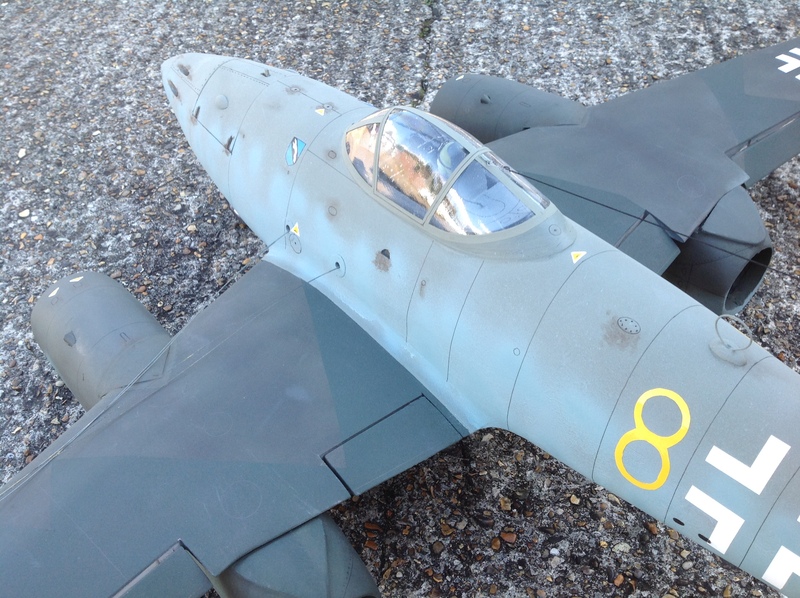 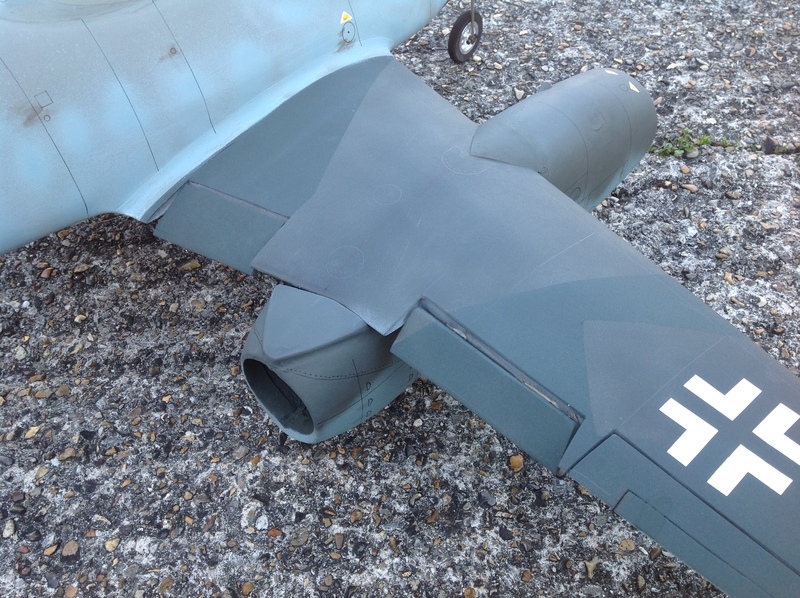 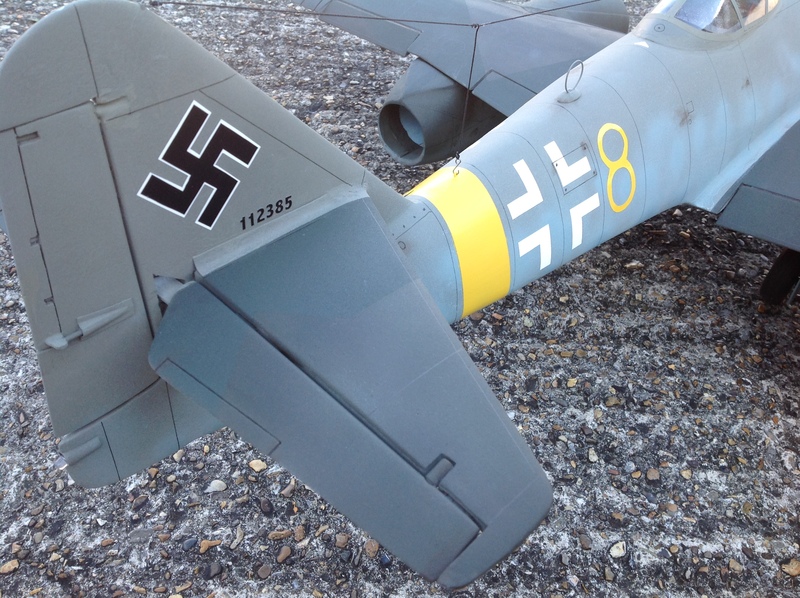 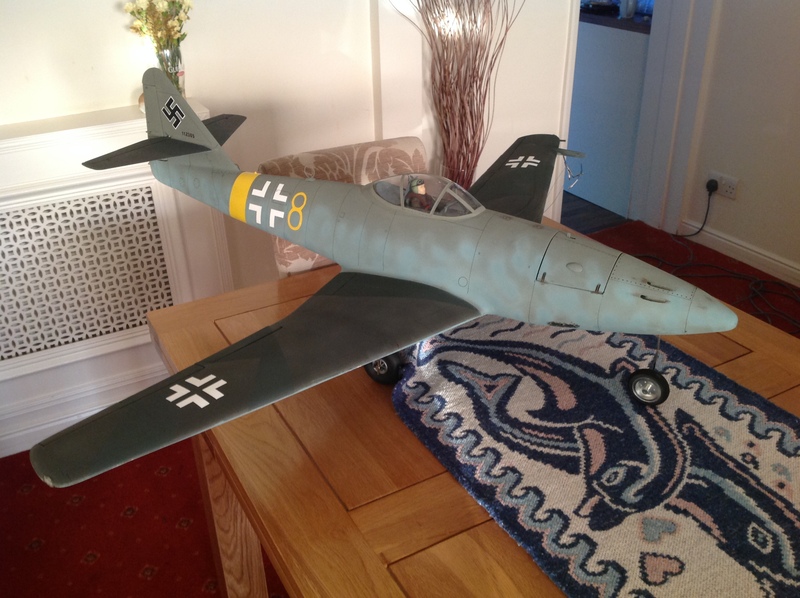 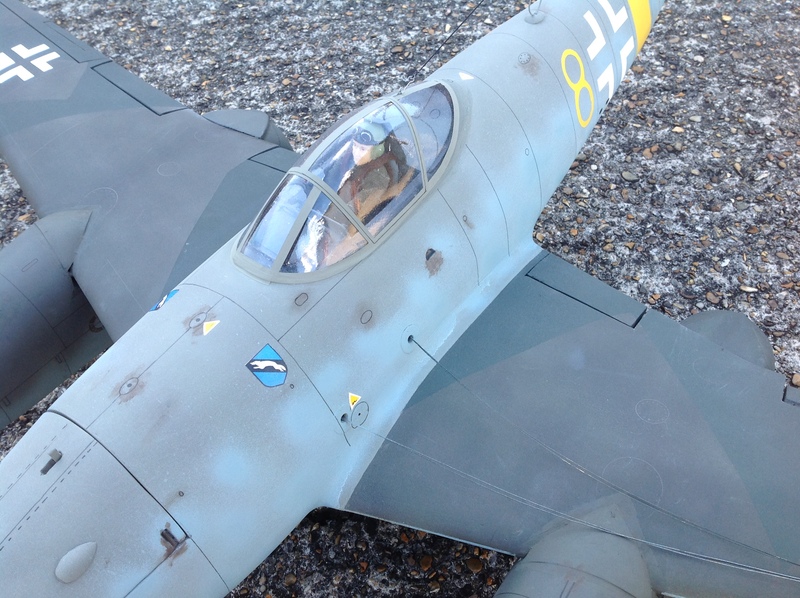 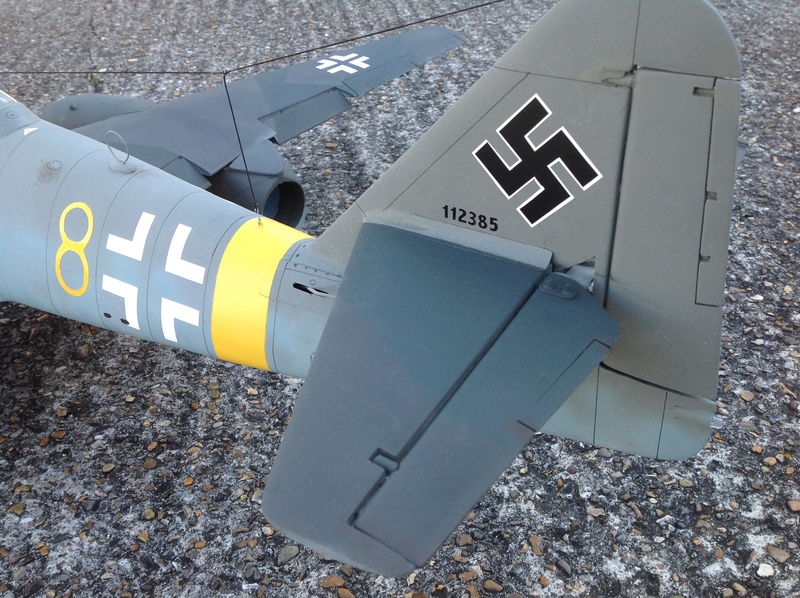 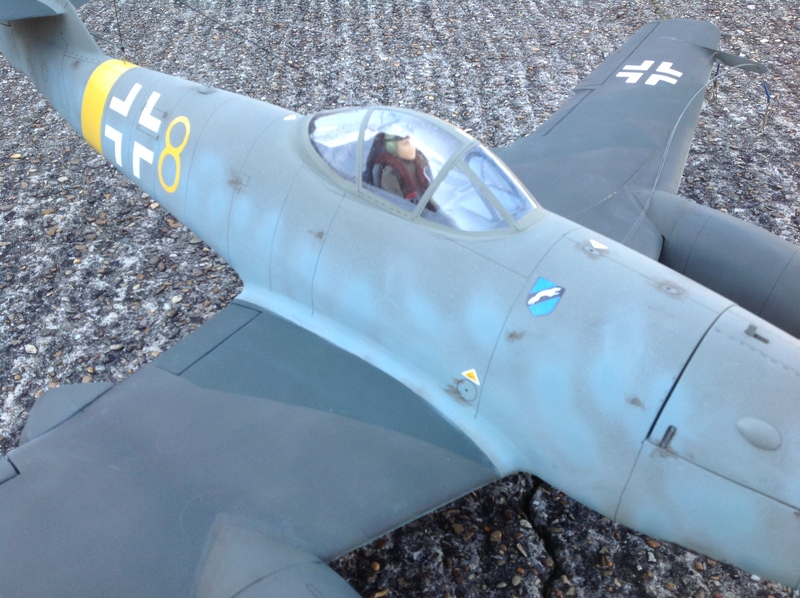 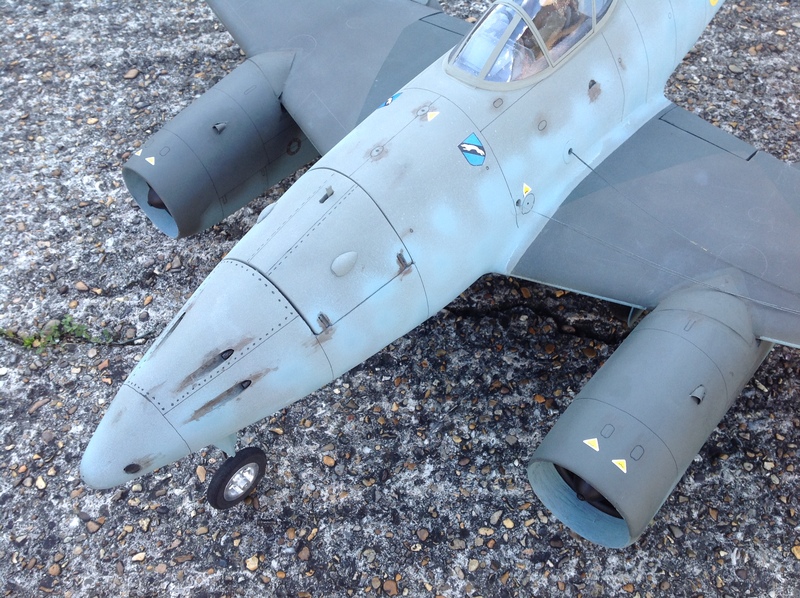 Work has started on a new Me 262 which is slightly larger than my first model, it will incorporate all the lessons I have learnt from the first model and include full wing flaps, these were tested on the old model in Nov 15 with good results, photo Dec 15. 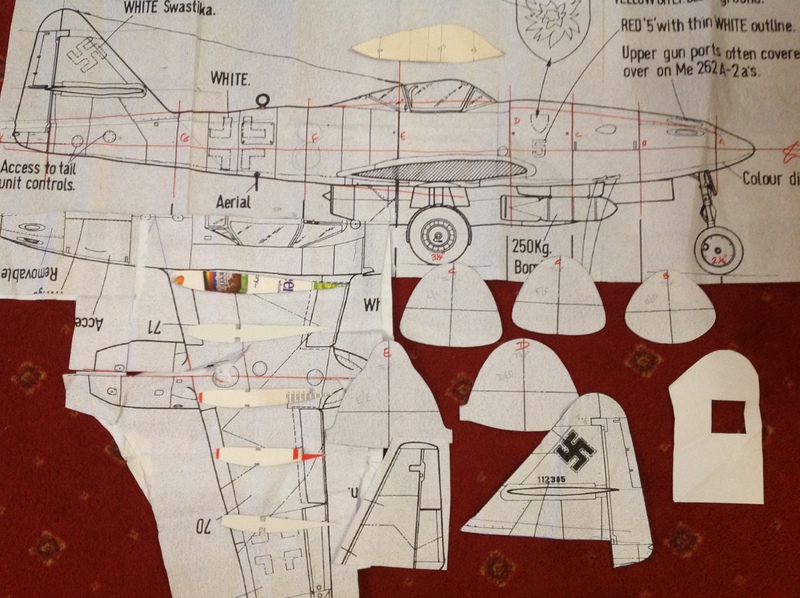 This shows the enlarged drawings I am working with. 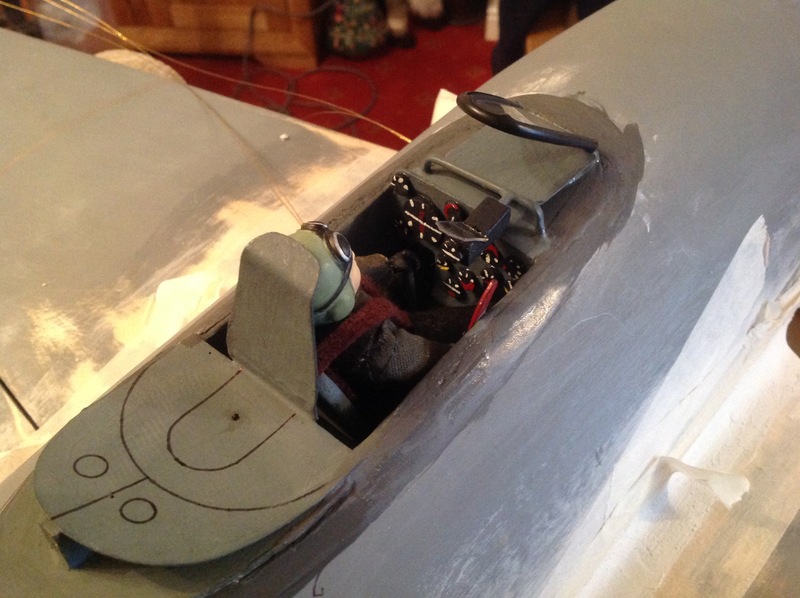 Final alignment of tail and wing prior to fixing, + 4 degrees of incidence on wing 19 Dec 15. 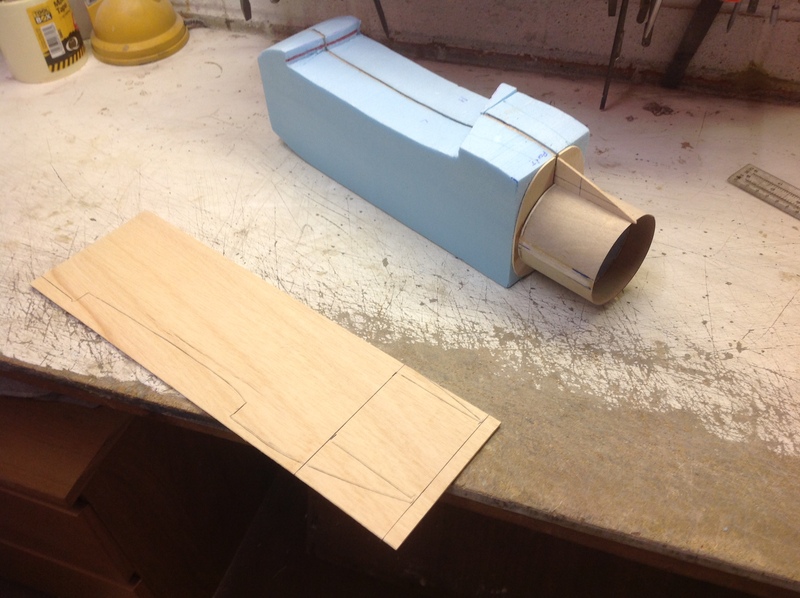 Work started on engine nacelles, construction using lite ply former with blue foam to save weight. 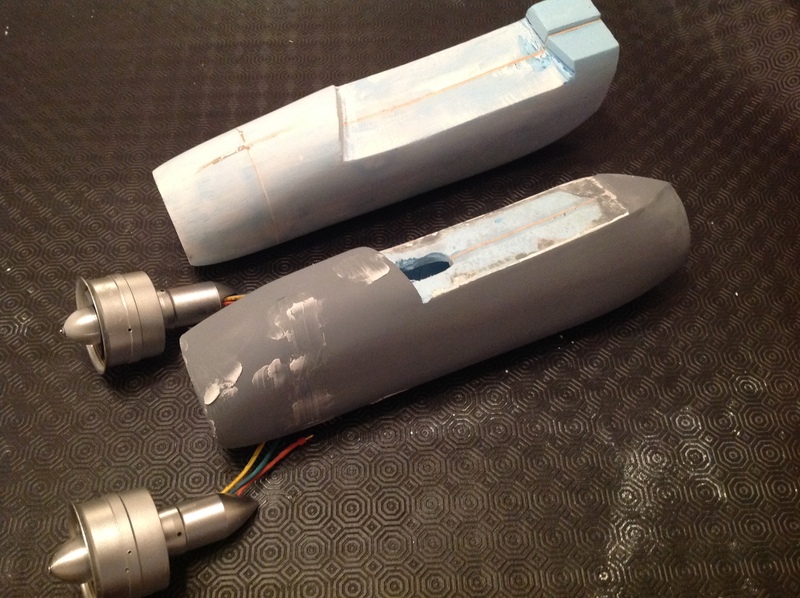 Nacelles nearly ready, not that easy working with blue foam tends to mark very easily, covered with two layers of very thin glass fibre, best way of applying resin is using your fingers to rub in therefore not leaving any marks on foam, please use gloves when doing this. 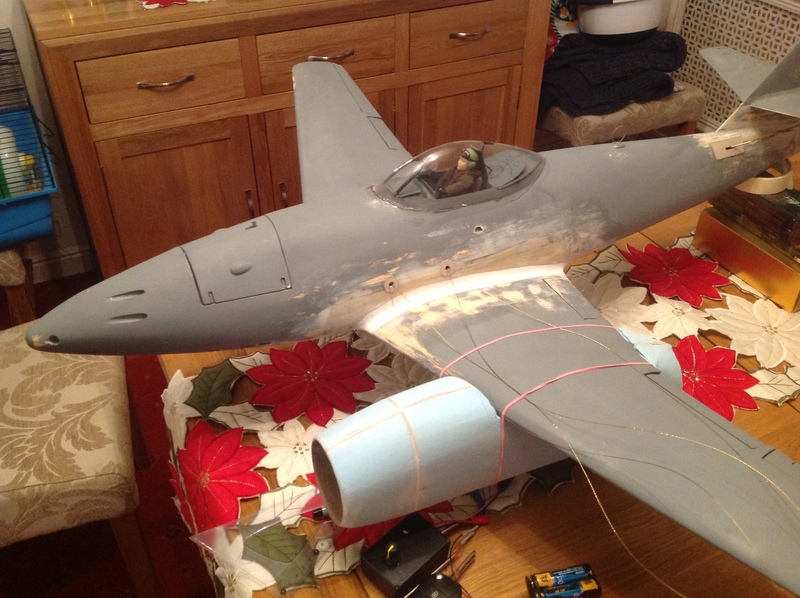 First test flights were carried out at Basildon a few weeks ago, the model was flown on 52 ft lines and was very lively also on landing the front plastic retract decided to self destruct. 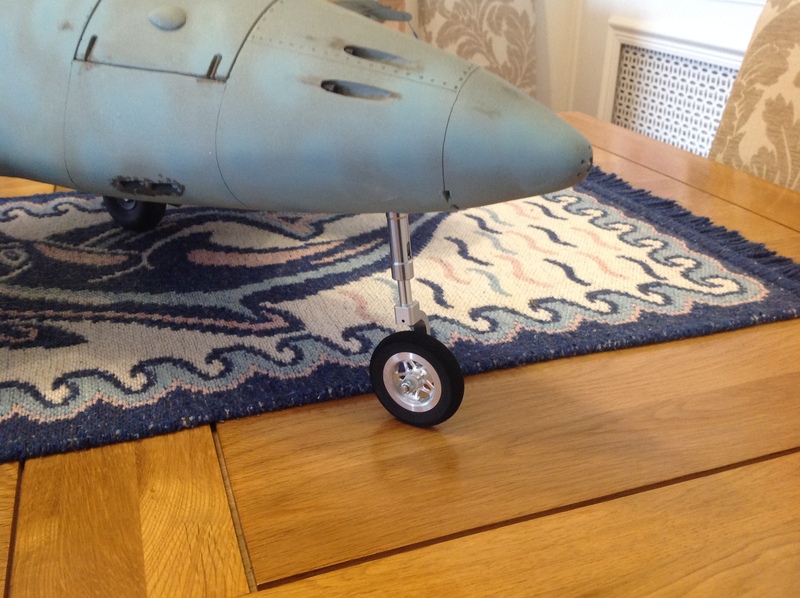 This was replaced by a TURNIGY metal unit and a Hobby King jet leg and new wheel, these look more scale like now. 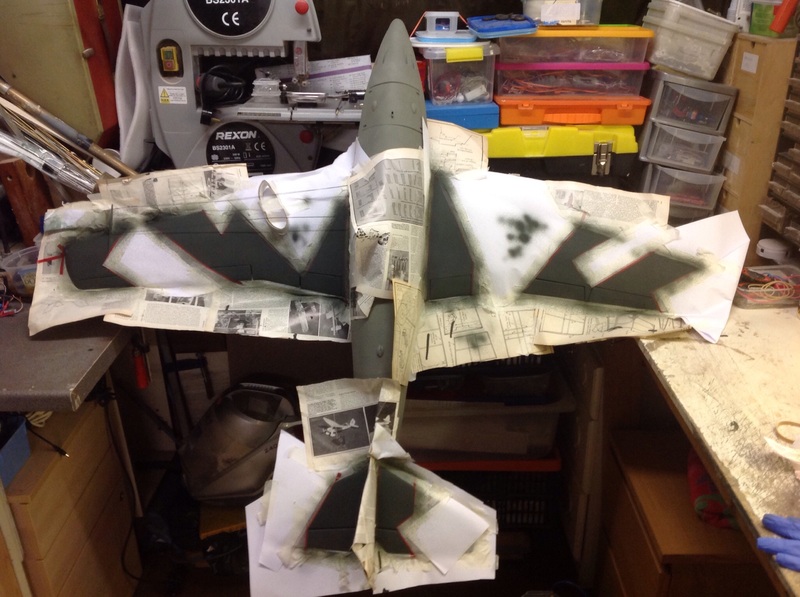 The model was flown again at the speed meeting at Croydon on the 29 May, the line length was increased to 60 ft and now the model flys very stable plus the retracts work OK.